There are those of us lucky enough to work for themselves and report to no-one. The rare kind, who don't have a manager above their head. This can be a good or a bad thing. It's fantastic not to have to attend management meetings nor take orders. To decide on your own working hours and holidays. Great to be the decision maker in all aspects of the business. Set due dates - nothing more motivating than a date visibly hanging in front of you. Use either a due date field, or set a striking color change if a task has not been touched for too long (Card aging Power-Up). Write yourself comments to never forget that one thing your client asked you for, that you were certain you wouldn't forget, but ...what was it? Make notes and comments as you go and stay ahead of yourself. An extensive backlog will never let you lose an inspired idea. You may always change your mind about it, but it will be by choice, not by human memory failure. Some of the best ideas arrive when you're not actually working - send an email onto your board, where you'll describe the inspiration and think it over later, whenever you're ready. Concentrate on one job at a time - limit work in progress - that is the one and most important thing in Kanban. Give yourself some peace of mind by making a conscious choice not to be working on more than x number of tasks ever again. Relieve yourself of the constant mind chatter working over the things you ought to be doing while you're doing something else. 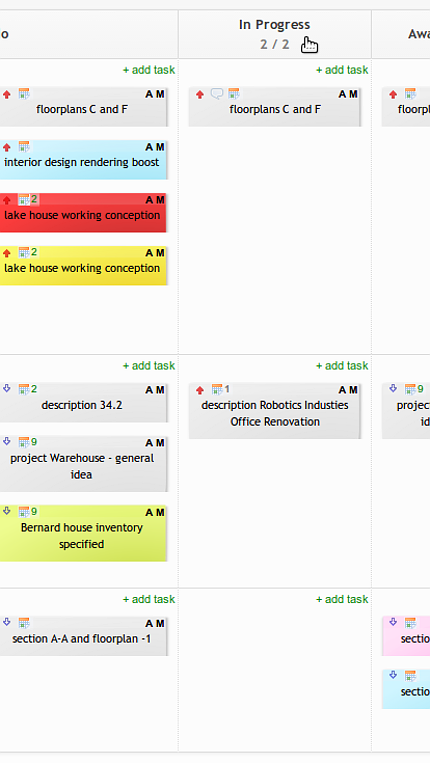 Leave the planning to Kanban Tool, armed with your desired policy and process. Never again forget about a client meeting, a pick up or delivery - link tasks to a calendar, and it will remember it for you. 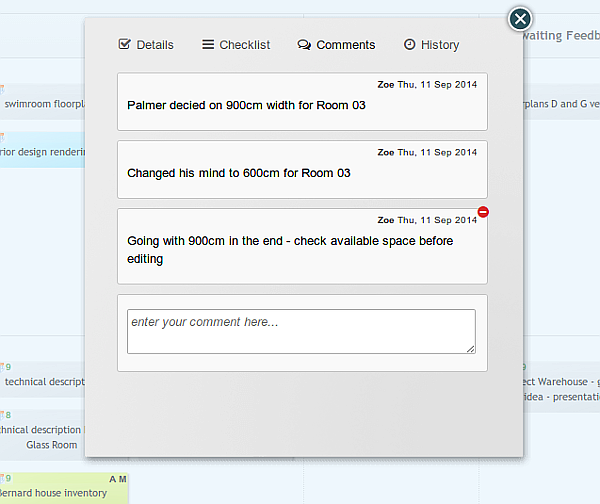 Measure work stages (use Kanban Tool's time tracking) to be able to plan better. This will allow you to provide better estimates on submission times, henceforth making you more reliable and professional. No one likes news of a delay. Also, if it happens that you charge an hourly rate for your service, this will enable you to rightly price your effort. Especially valuable for real passionate / artistic freelancers - because you love the work, you forget yourself to it and what seems like a joyful hour could have actually been 6. Police yourself - add column policies and relations, which will make sure that you follow the correct steps of your process, without omitting anything crucial or skipping a minor, but necessary step. Achieve kaizen in your one-man business. Observe and analyze your patterns and statistics. By noticing regularities and dependencies it will be much easier to constantly improve yourself. 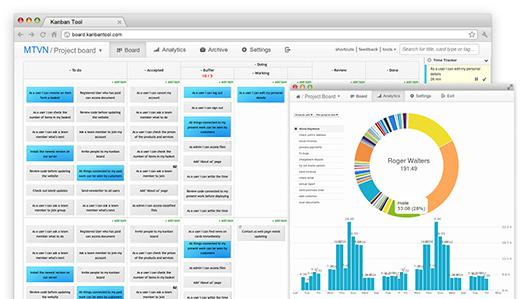 Get started with Kanban Tool today and find out for yourself how much easier and better freelancing can be!